Dr. Mike Mazzola is at the helm of the Energy Production and Infrastructure Center (EPIC) as Director and Duke Energy Distinguished Chair in Power Engineering Systems. Dr. Mazzola holds a Ph.D. in electrical engineering from Old Dominion University. After three years in government service at the Naval Surface Warfare Center in Dahlgren, Virginia, in 1993 he joined the faculty at Mississippi State University where he became known for his research in the areas of silicon carbide power semiconductor device prototyping and semiconductor materials growth and characterization. For the past 10 years he served at the Mississippi State University Center for Advanced Vehicular Systems as the associate director for advanced vehicle systems, where he lead research in high-voltage engineering, power systems modeling and simulation, the application of silicon carbide semiconductor devices in power electronics, and the control of hybrid electric vehicle power trains. In addition, he served two years as the chief technology officer of SemiSouth Laboratories, a company he co-founded. A professional engineer, he has published more than 100 papers and has been awarded 14 patents. 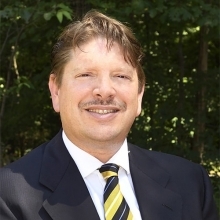 Dr. Mike Mazzola is an expert in several technical areas including semiconductor devices and their applications in power electronics as well as pulsed power technology.